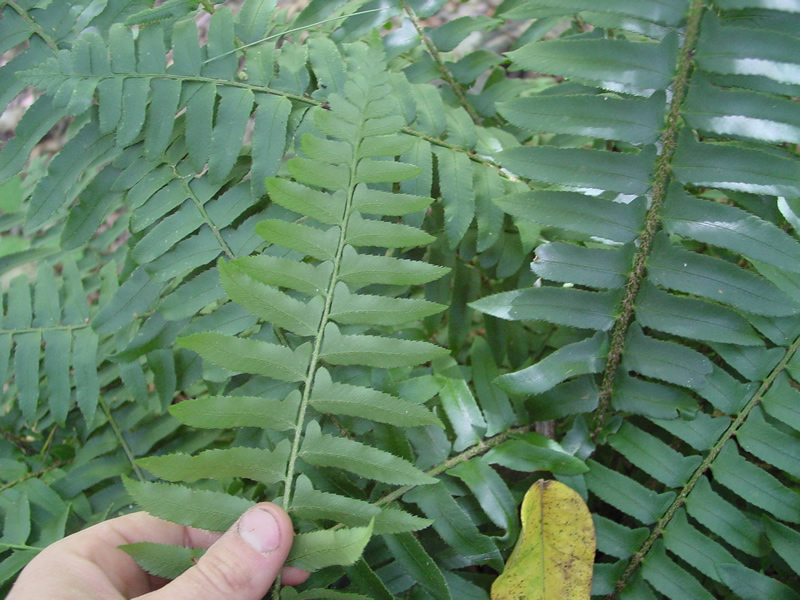 The Christmas fern is a lovely, evergreen fern that offers year-round interest. 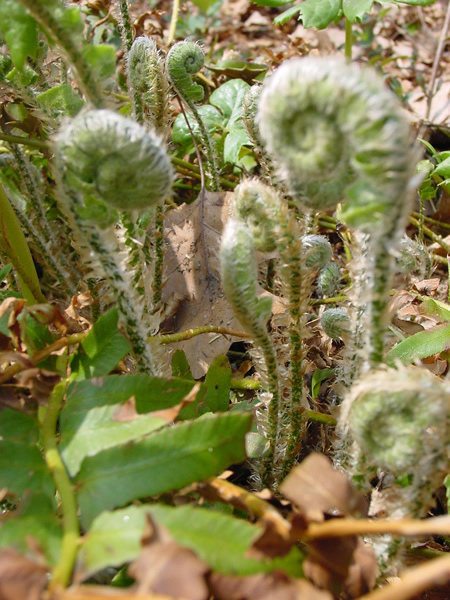 It provides a bit of deep green color on gloomy winter days and the fiddleheads, or crosiers, provide interest in spring as they begin to unfurl against the previous year’s leaves. Its common name is a reference to how early settlers used the evergreen fronds for Christmas decorations, but some believe it may also be because of its Christmas stocking shaped leaves. 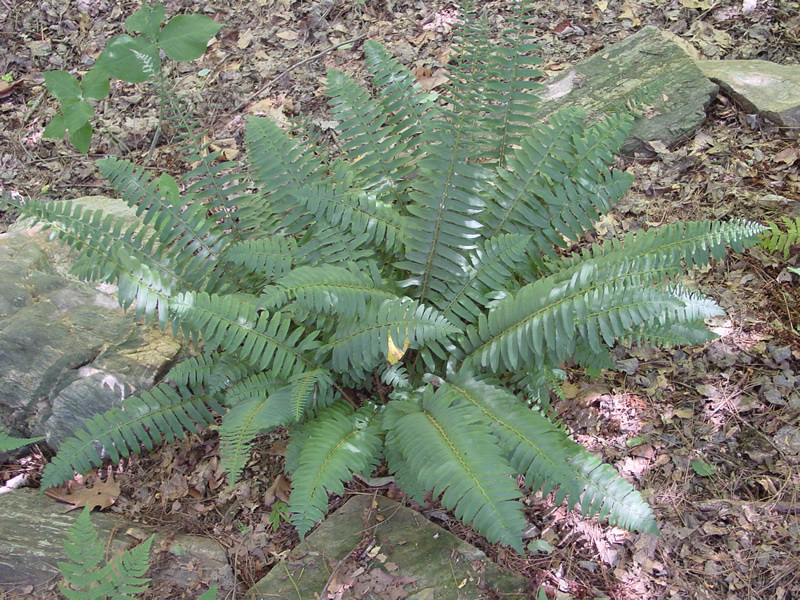 The 12 to 18 inch tall fern is fairly adaptable, growing in full shade to part sun and in rich, moist soils to dry, rocky slopes. It is great for shady woodland gardens and massing along rocky slopes to discourage soil erosion. Christmas fern does not suffer from any serious insect or disease problems.